Shop our selection of bag filter housings designed for use in a wide variety of industrial applications, from chemicals and paints to the food service industry. With bag filter housings available with flow rates between 50 – 300 gpm you’re guaranteed to find just the right sized bag filter housing for your application. Have questions or need help determining which filter bag housing is right for you? Give our experts a call at 1-800-277-3458, they’d be more than happy to help you find just the right bag filter housing. Looking for a bag filter to go along with your new bag filter housing? 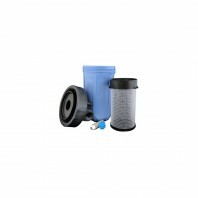 Check out our huge selection of over 50+ replacement bag filters.